At Island Home and Garden, we are continuing our interest in sea glass. We have a wonderful selection of jewellery by 3 different artists, who create a variety of styles from their collections of glass. 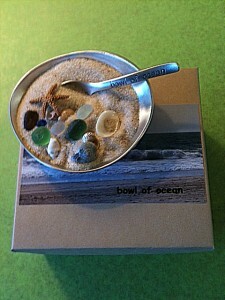 Our latest finds are ‘Bowl of Ocean’ and ‘Bucket of Beach’ – two beautifully designed gifts that would make wonderful wedding or corporate favors, or something for a special person as a beach memory! 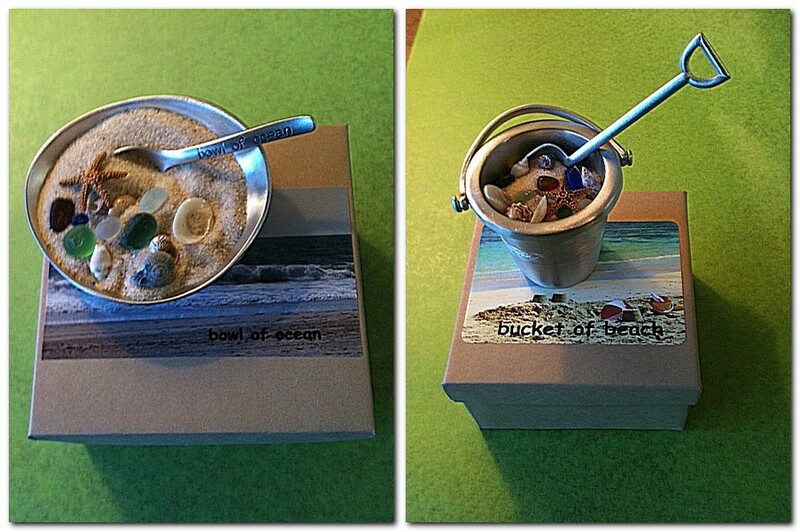 The pewter bowl and bucket come in little boxes, and include all the ingredients for set up: sand, sea glass and shells, plus directions! We are excited at being able to offer these for the holidays, and are impressed at the high quality of packaging and presentation. Personalization is also available for a specific event upon request! Visit Barb and Robyn at the Island and see our newest displays. Mahalo!